This year, the Forum’s theme of “Health and Shelter” will cover a wide range of topics and areas of interest and concern, including issues that relate to both psychological and physical health and well being. The Meeting on the 10th May will consider issues of shelter from a Health Sector perspective and how this could influence the way we work. There will be opportunities for presentations and discussions on technical, policy, and programmatic subjects. The agenda will be produced based on the submissions of the participants, with priority given to those that adhere to the theme. 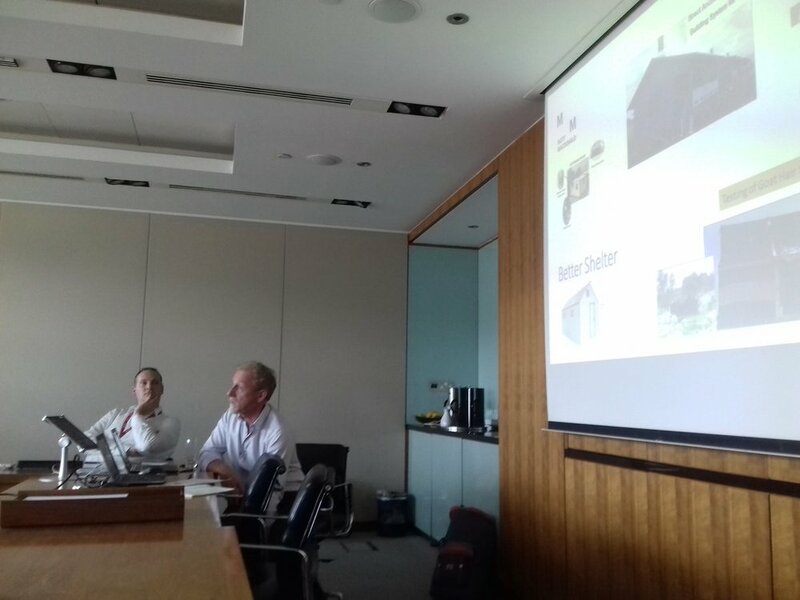 A team of researchers from the Healthy Housing for the Displaced project attended UK Shelter Forum 22 in London on 8 June 2018. The Shelter Forum is a community of practitioners, mainly working in the shelter sector, who share knowledge regarding humanitarian shelter and settlement. The UK Shelter Forum has held twice yearly meetings since 2006. This year’s event was co-hosted by CARE and Habitat for Humanity. The theme of the forum was the Future of Shelter, with a focus on humanitarian reform, and the ‘humanitarian-development nexus’. A good portion of the day was centred on humanitarian response, its systems and finance, mainly multi-purpose cash offers to the displaced people. Dr Francis Moran and Noorullah Kuchai, PhD student at the Department of Architecture and Civil Engineering at the University of Bath, presented their work in the afternoon session on ‘Linking Research and Practice’. There was a lively discussion on how to identify research priorities and how this can be linked to UK funded research. It was mentioned that currently a portion of the overseas aid budget is going to research but there is no significant evidence of this benefiting overseas emergencies. It was recognised that it may be too early to see such an effect. People who work in the humanitarian sector would very much like to see such evidence. How can research outcomes and findings influence donors? How do we articulate research gaps, what are they? How to marry up research organisations and humanitarian workers to make joint funding bids? One issue the practitioners agreed on was their difficulty in getting beyond paywalls to read academic articles in the field. Practitioners usually don’t have time to, and don’t really know how to search for such papers, although it was pointed out that they do need to read them as complex ideas cannot be reduced to bullet points. The session’s conclusion was to establish Shelter Research Working Group that would bring together researchers and practitioners, including the UKADR (UK Alliance for Disaster Research). We have returned from fieldwork in Hitsats, Eritrean refugee camp located in Tigray regional state in Northern Ethiopia. In collaboration with the University of Aksum we carried out 60 survey-based interviews during April, the hottest month in the camp. Hitsats is located approximately 45 kilometres from Shire Endasellasie, the seat of North-western Zone of Tigray, about 1,130 km north of Addis Ababa, and only around 100 km away from the Eritrean capital Asmara. It is characterized by hot and arid semi-desert climate, with daily temperature rising above 40 degrees Celsius during the dry season. The cooler rainy season normally begins in June and ends in September. 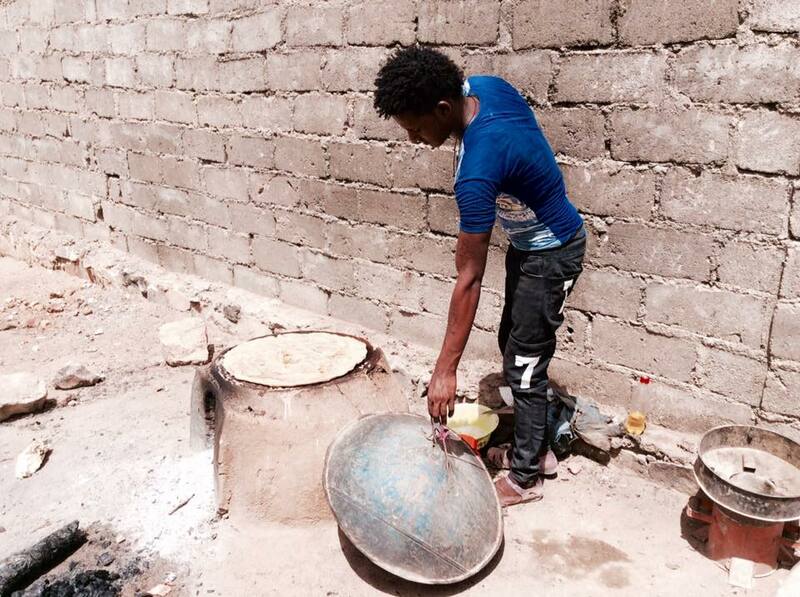 The area is prone to tropical diseases, particularly malaria, exacerbated by poor WASH facilities. The camp is not well equipped with electricity and water provision, having an impact on the mostly highlander – therefore used to much lower temperatures - refugee population’s ability to cope with the harsh climate. Hitsats is the newest - it was established 5 years ago - and the least favourable camp to live in out of all Eritrean refugee camps (Shimelba, Mai Ayni and Adi Harush) in the region. On average, over a thousand new refugees arrive in Hitsats refugee camp per month. Nonetheless, equal number of refugees, if not more, leave the camp every month to third countries, keeping the average refugee population in the camp hovering between 11,000 and 12,000. As it is the case in most of the camps in Tigray, the overwhelming majority of the refugees in Hitsats are members of Tigrigna ethnic group, which shares a wide boarder as well as cultural ties with Tigray region in Ethiopia. However, Hitsats camp stands out for its mostly young, male population who fled compulsory military service in Eritrea. Nearly a third of the refugees in Hitsats are under the age of 18. There is also a high number of unaccompanied and separated children, comprising around 10% of the camp. The young demography and the hostile weather conditions in the camp are often said to exacerbate refugees’ risk of onward irregular migration out of Ethiopia and towards Europe via the Central Mediterranean route. The total area of the camp covers approximately 2,104,000 m2 (210.4 ha). There is no physical barrier that delineates the camp from the small town of Hitsats. The camp is divided into four zones, and there are about 1,333 permanent shelters built by the Norwegian Refugee Council (NRC) without any prior consultation with refugees. The cost of one shelter is approximately $1,300. The first refugees who arrived in Hitsats were given tents where they stayed for around 6 months. The shelters were constructed in haste – for instance, the cement was not watered - which resulted in poor durability of the buildings, particularly in bad roofing. An average of five to nine refugees (which is the maximum number of people allowed in one shelter although there are shelters housing as many as 26 young people) lives in one unit concrete block (HCB) house which is 4m x 5m. The roofs are constructed from iron sheets with timber trusses, and openings (usually two windows but there are shelters with one only one window) are made of poorly cut zinco, often with sharp edges. Shelters for young single people are structurally weaker and form a block of 4 houses, whilst shelters for families are ‘stand-alone’. Sounds disturbances and the risk of spreading contagious diseases from neighbours were a common complaint expressed by people housed in the first type of the shelter. Badly designed rocky stairs are a hazard for small children. Each shelter usually has two mud beds which are made by refugees themselves. Floors are made of mud too and are often uneven. Given lack of partitions, one room serves as a bedroom, kitchen, and a storage, which is perceived by refugees as both uncomfortable and unhygienic. People socialize around coffee ceremony, which involves roasting raw coffee beans and takes on average 3-4 hours as one should traditionally drink three cups of freshly brewed coffee in order not to offend the host. In absence of outdoor space, this is done indoors, which raises the temperature and produces smoke. Given how small the shelters are, partitions are not a practical solution and external sitting space is the most favoured adaptation aimed at coping with the heat. Completely sealed off compounds are preferred due to prevalence of theft in the camp. From our own observation of interviewing people in their shelters, L-shape external spaces provided particularly good ventilation and thermal comfort. 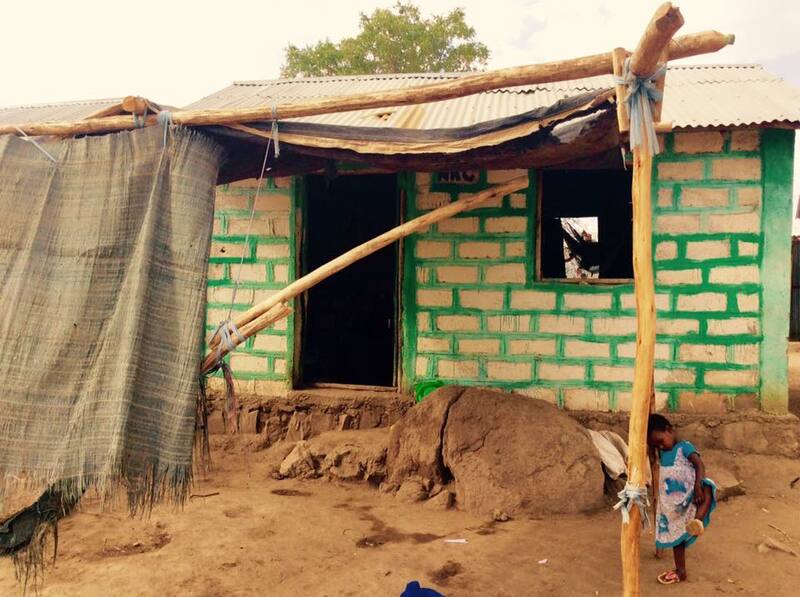 Refugees who cannot afford to build such spaces should be provided with materials to do so. In general, most people would prefer to build their own shelter. Roofs should be completely redesigned and elevated, with an added ceiling in order to cool down the space. Openings should be towards the north and south. They should be strengthened given a high risk of theft in the camp, which usually occurs when people go for lengthy church services in the night and early morning. Refugees in Hitsats have a clear preference for currently existing private bathrooms, and most people also preferred having their own kitchens. This may be because of distances between shelters and already built but unused communal kitchens. Privacy is not an issue as such, but the lack of space is. The political context in Hitsats refugee camp is relatively relaxed, as there are no restrictions on usage of materials and adaptations in the camp. Eritreans are very much a population of ‘forgotten refugees’, with donor’s community not locating money to the Eritrean refugee crisis. On the other hand, INGOs working in Hitsats usually focus on programmes aimed at curbing onward irregular migration from the camp, which in principle is about improving conditions of life there. This provides a window of opportunity for the call to better the already existing shelters. The second meeting of the Healthy Housing for the Displaced Steering Committee took place on 6 February 2018 at the University of Bath and was attended by representatives of thirteen organisations including Allies and Morrison, Mott MacDonald, Protomax Plastics Ltd, Care International and Kingston University. The International and Industrial Steering Committee meets bi-annually to monitor progress against work plan; provide advice on engagement with key users; provide advice on prototype design; ensure outputs meet key user requirements; provide advice on impact strategy and secure pathways to impact; and ensure project adds value and builds on existing knowledge. The meeting started with the updates on work carried out in all packages. The team working on WP 1 recently returned from Nepal where they examined self-recovery in areas affected both by the earthquake and by floods. This was a scoping exercise looking at sourcing of materials and building techniques in the context of self-build. The team is going to carry out similar research in Turkey in March 2018. There have been two project publications published in Building & Environment, ‘Thermal Survey in Desert Refugee Camps’ and in Journal of Architecture, ‘Towards Healthy Housing for the Displaced’. The latter was awarded 2017 RIBA President’s Award for Research in the category of Housing. Another publication based on fieldwork carried out in Syrian refugee camps in Jordan is currently under internal review. Work carried out in WP 2 is currently focused on re-evaluating Azraq refugee camp shelter design and investigating the potential for thermal performance improvement in this very hot desert settlement. This includes looking at increasing thermal mass that takes advantage of low night-time temperatures to dissipate heat gained during the day; introducing adaptable shading devices; increasing insulation; allowing cross-ventilation; using bonded insulation panels, which reduce condensation risk and increase durability of the construction and its thermal performance; and creating ventilated roof to purge warm air. The objective of work package 3 is to lay alongside the necessary emergency/reactionary approach, a scientific one, where materials and form are co-debated, tested in a laboratory setting, then under test conditions, and later rolled out physically or as guidance. There has been Protomax Shelter constructed together with University of Bath students at the Building Research Park in Swindon. Second version of shelter is in design now. The researchers working on WP3 are currently analyzing SheltAir proposal, a pneumatic erection of gridshells, inflatable ‘office in a bucket’, and IKEA shelter in order to study thermal modelling. Work package 4 aims at initiating a science of shelter design and investigating new methods for the exchange of design information between researchers and camp residents which comprise of stakeholder-led design ideas and proposals; in-country user requirement definition; participatory design/refinement of proposed shelter designs; and an overall new approach to transitional shelter design. The presentations updating the Committee on the progress of all work packages were followed by two parallel workshops on design typologies and design mapping focused on proposing new architectural, environmental and planning design solutions alongside scientific as well as technical approaches. Small units (which can be of different sizes) represent spatial functions e.g. bedroom, living rooms, bathrooms that can be arranged and combined depending on the size of families. There is an inward looking internal courtyard for communal activities and privacy, and canopy to add environmental protection. This layout lends itself to controlled movement and circulation, whilst maintaining cultural practices without compromising on interactions within the family unit. An alternative format could be in the form of clustered extended family units. Module 3 dimensional forms use local materials in conjunction with modern materials such as panelised solutions. The form consists of indoor and semi-outdoor zones to deliver spatial hierarchy from external to internal spaces. The form can be built to reflect social and cultural preferences through the type and location of the building’s elements e.g. roofs, doors and windows. 3-d forms can be coupled or uncoupled; raised, sunk or situated directly on the ground. Cell-like structures with a starting core similar to the previous concept. However, the emphasis is on growth with units allowed to expand linearly along pre-defined axes. The core is the fixed point but other components are designed to support expansion. Alternatively, units are linked together to create shared micro-spaces that could propagate linearly, in clusters or radially in accordance with vernacular typologies e.g. of row houses, or hierarchical dwellings. Combination of bulky materials (e.g. sandbag) and core enclosed by a lightweight structure. In essence, a combination of heavy and light materials. The core and light materials could be deployed as first response, whilst more stable materials can be added later. The form is however constrained within the boundaries of the external membrane but remains fluid internally. Wind tower central to the building form acts as a central focus for spatial functions, delivers thermal and ventilation comfort as well as provides structural stability. This type is perfect for hot climate, with its emphasis on natural stack ventilation/cooling from the chimney/wind towers. Depending on local climatic conditions it can ventilate from indoors to outdoors or vice versa. The design mapping exercise highlighted the importance of flexible spaces (for instance, pods joined together, a frame/ kit of parts; coupling and uncoupling units; modular blocks, connected with dowels); low tech simple volumes with add-ons; and usage of local materials such as sand and earth for thermal mass. The design may be layered over time on the continuum from disaster relief to recovery, with a quick and simple first response to second layer that adds durability, followed by comfort and social areas. The structure should be lightweight, with low transmittance. We already know from our research findings so far that due to political constraints, shelters should not look permanent, but could nevertheless have surface texture. The definitions of comfort and socially acceptable shared spaces versus private ones are bound to differ in each cultural context. As part of Amman Design Week, our Jordanian partner, Department of Architecture at the German Jordanian University organised Design for a Nomadic World exhibition in collaboration with young people from Azraq refugee camp, the Future Heritage Lab - MIT Department of Architecture and CARE Jordan. The exhibition showcases studies of everyday-life problems and inventions of the Azraq refugee camp residents and explores how art, architecture and design can address the emotional, cultural and aesthetic needs of refugees. The exhibition was opened on 8 October by curators Dr Azra Aksamija, Dr Mohammed Yaghan, Zeid Madi and Melina Philippou alongside the group of young refugees who were involved in the project. The project started informally as the “book of problems” in Azraq camp which enlisted issues encountered by refugees in their daily lives. After two months spent documenting inventions in the camp, the team designed the “book of inventions” created as solutions to those problems, for instance a washing machine built out of two buckets by 14 year old refugee Rawan Hussein. The end product of the exhibition which is still under development, the Lightweaver, is a playful kinetic lighting machine and an educational device developed in collaboration with the artists, calligraphists, engineers and inventors from the Azraq camp. Drawing on the cultural memory, the exhibition examines the notion of refugee camps as civic spaces where social healing, innovation, creativity and cross-cultural interactions take place. It aims to broaden the dialogue around the role of design in conditions of conflict and crisis within a global perspective. When asked about an ‘ideal’ shelter design, Syrian refugees in Zaatari and Azraq camps were mainly pointing to the notion of privacy, followed by specific cultural needs according to their particular socio-economic background (e.g. farmers, nomads, traders, artisans etc.) as well as referring to different forms of traditional architecture in their region/ city. For example, some people saw mud as a great material because they used to live in mud houses in Syria; others did not see it as an appropriate form of dwelling. Therefore, there is no one model of a ‘perfect’ shelter – some people said they only need materials to build, and they will do the rest themselves; in principle, it’s about agency and freedom to build, or at least to make adaptations as part of the process of home-making. According to refugees, spatial divisions inside a shelter are more important than its size. There should be at least two rooms in order to create separate space for men and women, especially if there are older children in the family (e.g. older girls cannot change clothes in front of their brothers), or separate rooms for a couple and their children. The space should be modular in order to respond to changing needs of a family (for example children being born). Currently people create partitions but this increases the temperature inside the shelter. On the other hand, when doors are open for ventilation, women have to wear hijab all the time. There is therefore a need for shading to provide privacy as well as to protect against the sun. Families with young children also complained about the lack of shaded and floored spaces for children to play outdoors. Bathroom (i.e. toilet and washing space) and kitchen should be inside a shelter because people do not wish to use communal spaces. Women were not happy about having to fully dress and cover their hair every time they go to a toilet; children get dirty on their way to and from bathrooms, and pit toilets have holes that are too big for young children. As a solution, refugees often construct bathroom inside kitchen space but this leads to problems related to odours and hygiene. Also, there is no space for drying laundry, and it is culturally inappropriate to dry underwear in a place where it can be seen by others. Specially designated space to receive guests is very important in the Arabic cultural context, and ideally there should be one for woman’s guests, and another one for man’s guests in each household. Guests sit on the floor with cushions, so if there is no insulation on the walls, they may burn their back in the summer. People are longing for courtyards, gardens, fountains and birds towers that they used to have in Syria – and some manage to re-create them in the camp. This indicates the importance of examining traditional Syrian forms of architecture when designing a shelter for Syrian refugees, and replicating those to a certain extend where possible, for example designing L-shaped courtyards outside shelters. Initially refugees were building extensions around their caravans to protect themselves against stray dogs wandering in Zaatari. In terms of aesthetics, people don’t like the look of walls indoors, especially that white colour is blinding in the sun, and some paint them or put wallpaper or curtains to cover them. Cladding and timber would be more aesthetically pleasing, and insulation should not be just randomly added on the walls inside. During our last field trip to Jordan we met with Mohammad Jokhadar, a Syrian artist who fled Homs in 2013. He now works as a barber in Zaatari refugee camp and also gives free arts classes to children; his colourful barber shop is full of his students' paintings. In 2016 Mohammed formed the Jasmine Necklace, a collective of artists in Zaatari. The members of the group came up with a volunteer initiative to paint shelters in the camp and got the Norwegian Refugee Council’s support for the project. The artists divided the camp into twelve parts, and each was painted following a certain theme or a dominant colour to ensure that the otherwise anonymous streets gain some individual character. The themes often refer to the region that refugees came from or to Syria’s green landscapes, very different from the desert-like surroundings of the camp. One of the themes focused on Syrian archaeological sites in order to educate children born and brought up in the camp about their cultural heritage. The project lasted for over a year and attracted lots of attention from visitors. 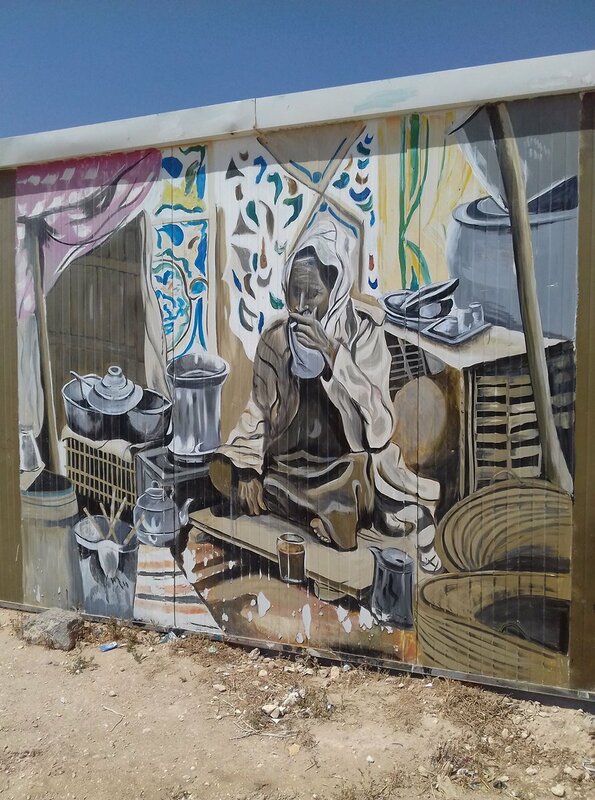 According to Mohammad, it is one of the most successful initiatives ever carried out in Zaatari because it is entirely about aesthetics, and because it responds to the longing for beauty shared by many Syrian refugees. Principal Investigator on HHFTD today gave a lecture at the Ramboll and Save the Children Shelter Workshop in London.